Barcelona – The Campanile hotel chain will measure its customers’ satisfaction by recognising their facial expressions of emotion through a sensor. This is a pioneering initiative in the hotel sector in Spain that will help the company to evaluate and improve its customer service protocols. Thanks to an agreement with the start-up imotion Analytics, Campanile will install a sensor in the reception of its hotels that combines video with infrared to detect its guests’ emotions. This information will later be processed, producing an evaluation of the customers’ experience in the hotel. The project coordinator at Louvre Hotels Spain and for the Campanile brand, Camille Gil, says that this new initiative “will measure the impact of our service” in order to “retain our customers and attract new ones, always improving and creating a differential value based on the emotions created in our hotels”. With this new initiative, Campanile “obtains information from customers related to their emotional experience that it will use to optimise service protocols”, Gils says. “It is a step towards customer service excellence”. One of the founding partners of imotion Analytics, Oscar Peón, explains that the measurement system is already used in other sectors like transport and retail, but says that in the hotel industry, “Campanile is the first company to attempt this continuous tracking of its customers’ emotional experience through what is called facial coding. We welcome the fact that sectors like the hotel industry are beginning to appreciate the potential of investing in information technology to improve business by measuring customer experience”. Unlike other, more traditional customer experience measurement systems, like surveys, he thinks that measuring expressions “lets us detect any problem in the relationship processes and measure customer satisfaction continuously and nonintrusively”. In the same vein, another imotion Analytics founding partner, Alejandro Murillo, says that the growing interest in achieving the maximum customer satisfaction, together with the boom in the development of new technologies to monitor customer experience, “stimulates investment and partnership in this new area of business”. Thus, “we have seen that we can adapt our range of information to the needs of each sector or business, as has happened with Campanile”. 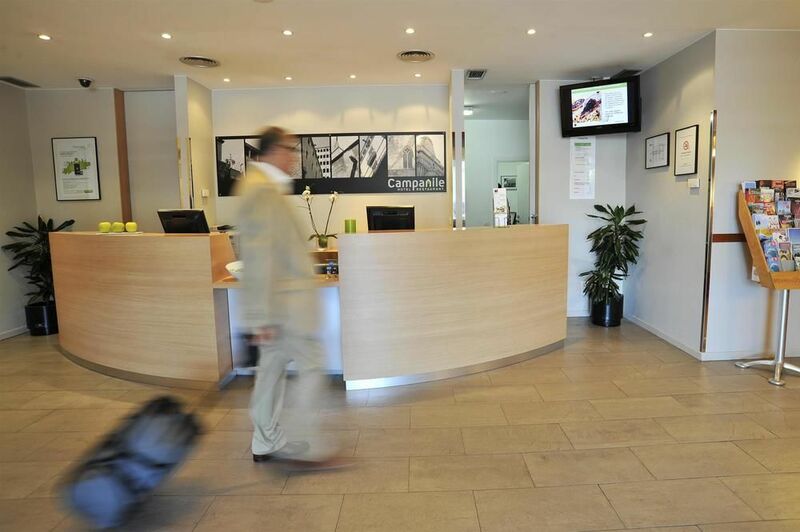 Campanile has already installed the first sensor in the hotel in Cornellà de Llobregat. Following its success, it plans to expand the service to the rest of the establishments in the chain shortly. Camille Gil stresses that the most important part of this project “is not the specific information that is obtained”. Rather, its great potential lies “in the possibilities for analysis, which grow exponentially as the collaborative project moves ahead, since from here Campanile may make changes to its business strategies in order to gauge the impact and continue improving”.